Material: Cromargan protect stainless steel polished. Rust-free, dishwasher safe, dimensionally stable, sanitary, acid resistant, indestructible and scratch resistant. Extremely scratch resistant: Silverware stays like new for many years and does not indicate any traces of use even when intensively used on a daily basis.  WMF Cromargan Protect silverware undergoes a patented process that is exclusive at WMF to strengthen the resistance to traces of use. Made by WMF - Production at our own WMF plant in Heshan. The coffee spoon, also known as a teaspoon, is suited to a coffee cup, and its small, convenient size fits in the cup as well as the saucer. It can be used to stir beverages in a cup or glass, and for eating desserts. It can also be used as a measuring unit: two teaspoons, level or heaped are an international indication of quantity. The Kent cutlery is classical and elegant. The lavish design of the front parts create a beautiful contrast to the broad end of the handle, the fine decorative line contributes to a successful blend of traditional and contemporary styles. 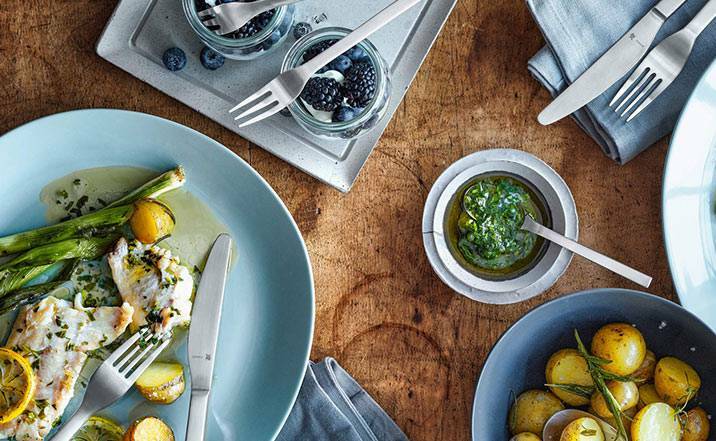 This polished WMF cutlery is easy to combine with a wide variety of styles. And thanks to its classical proportions, Kent rests nicely in the hand. The cutlery set can be complemented with any number of items - so there is nothing to stop you from hosting a large gathering! The teaspoon is an ideal all-round item of cutlery. It can be used for coffee, tea or other hot drinks, and is also perfect for eating desserts. With a teaspoon, the bowl, the curved part of the spoon, is made to a smaller scale than with its big brother the dinner spoon. Ever since spoons have been used, they have existed in different sizes for different foods. Today, the teaspoon is an integral part of the cutlery drawer, although traditionally it belonged to the tea set and it is also used for desserts and various hot beverages. Even when used for other purposes, we always refer to a 'tea' spoon. When preparing foods, however, the teaspoon is a specific unit of measurement. This unit is a level teaspoon and, depending on the weight of the ingredient in question, weighs approximately 3 - 10 g. Our WMF teaspoons are shaped to make sure you can measure ingredients easily. Furthermore, WMF teaspoons are perfect for enjoying puddings, ice creams or other sweets, as well as hot chocolate, coffee or tea. The size of the teaspoon is determined by the size of normal cups and mugs, so that the upper part of the handle sticks out of the liquid. This means you can use our teaspoons even if your cup is filled right to the rim. If you are also a fan of latte macchiatos, our special latte macchiato spoons with their extra long handles are the right choice - they are perfectly suited for the higher latte macchiato glasses. There is a matching teaspoon for every WMF cutlery collection. Our designs are intended to give you years of enjoyment. We develop them in harmony with current trend research and our proven design templates from over 150 years of WMF cutlery experience. 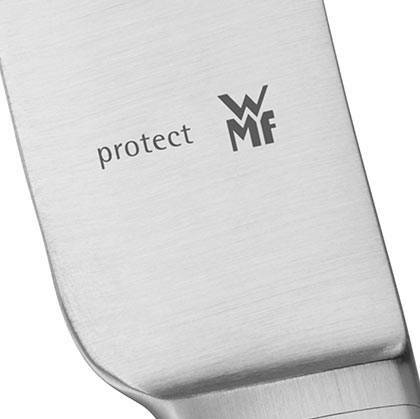 With the newly developed and internationally patented Cromargan protect®, WMF has developed a material to ensure you are even happier with your cutlery. Your WMF teaspoons will look just as good as they did on the first day, even after years of use, thanks to their extreme resistance to all signs of wear and tear. Of course, you can still order our teaspoons in the tried and tested materials Cromargan® stainless steel 18/10, sterling silver 925 and in 90 g "Perfect" hard silverplate. Let the WMF range impress you and discover our high quality teaspoons!